The EU project Asset, which has been managed since January 2016 by an employee from the Linz Center of Mechatronics GmbH (LCM), Dr. Johannes Klinglmayr, as Consortium Manager, has successfully passed a mid-term evaluation. Asset is an EU project consisting of a consortium of research facilities, companies, retailers and a consumer organisation, from Austria, Estonia, Switzerland, and Spain. As the coordinator, LCM acts as the link between all project partners so they can work together to achieve the project objectives. The project is part of Horizon 2020, call: ICT-10-2015 “Collective Awareness Platforms for Sustainability and Social Innovation” and has a total budget of 2,350,000 euros. This successful mid-term evaluation means, among other things, that the next portion of the funds is being approved by the funding agency and the project can move forward. 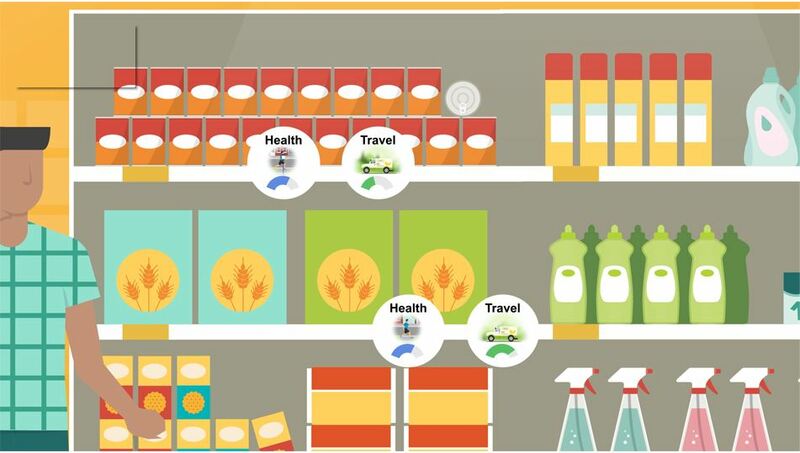 The aim of the ASSET project is to enable each individual consumer in the supermarket to make conscious and clear decisions. At the same time, it is intended to make users aware of the collective potential for change, the power of consumers, and the options open to them. “With this EU project, we are developing a personalised product evaluation system for use when shopping in the supermarket. The diverse range of available product information is bundled and made available to the user in a concentrated form, focusing on what is personally important to them, so that they can make an informed decision. We carry out field studies during supermarket operations to analyse consumers’ changing usage patterns. We are particularly interested in how decision-making behaviour changes, the formation of a collective awareness, and the effects on sustainable shopping,” explains Klinglmayr. The progress of each project partner in relation to the project is documented by Klinglmayr and communicated to the EU. In July, the project was evaluated by the EU for the first time. As part of this, Klinglmayr submitted comprehensive project documentation in the form of a mid-term report, and presented the project results to date, together with the international project partners, in Brussels. The first field test has now been rolled out. The first prototype is being tested in a supermarket in Estonia.